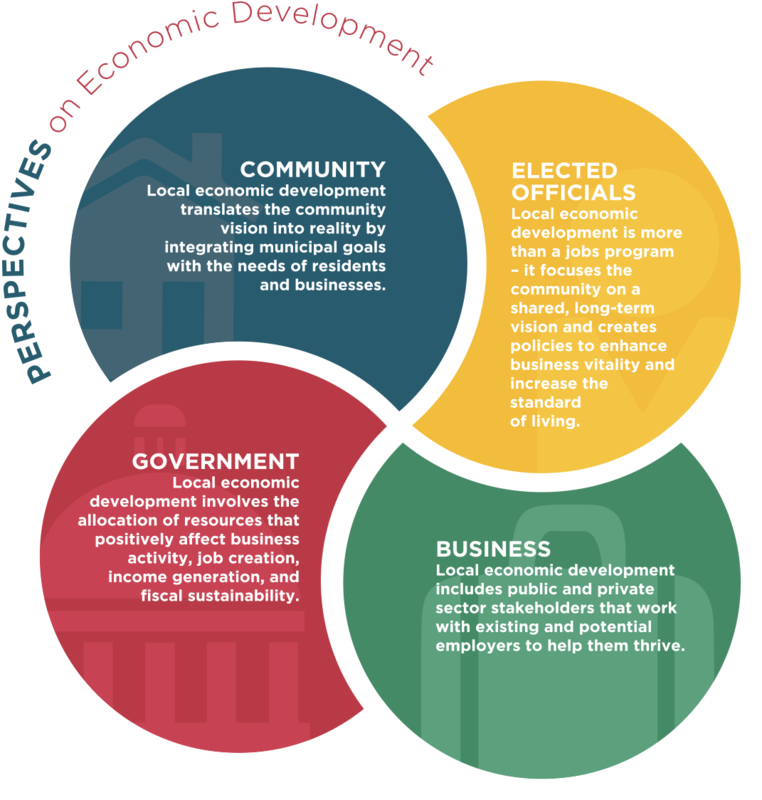 Economic Development is the creation of wealth from which community benefits are realized. It is more than a jobs program, it’s an investment in growing your economy and enhancing the prosperity and quality of life for all residents. Have a realistic vision for your community and understand your competitive advantages and disadvantages. Find champions to communicate the community vision and goals. Create a strategic action plan with specific goals, timelines, responsibility, assignments, and performance measures.